“Made for the love of indigo.” That’s how I describe my work—and I do love it. The whole process is enchanting and you’ll love it too! 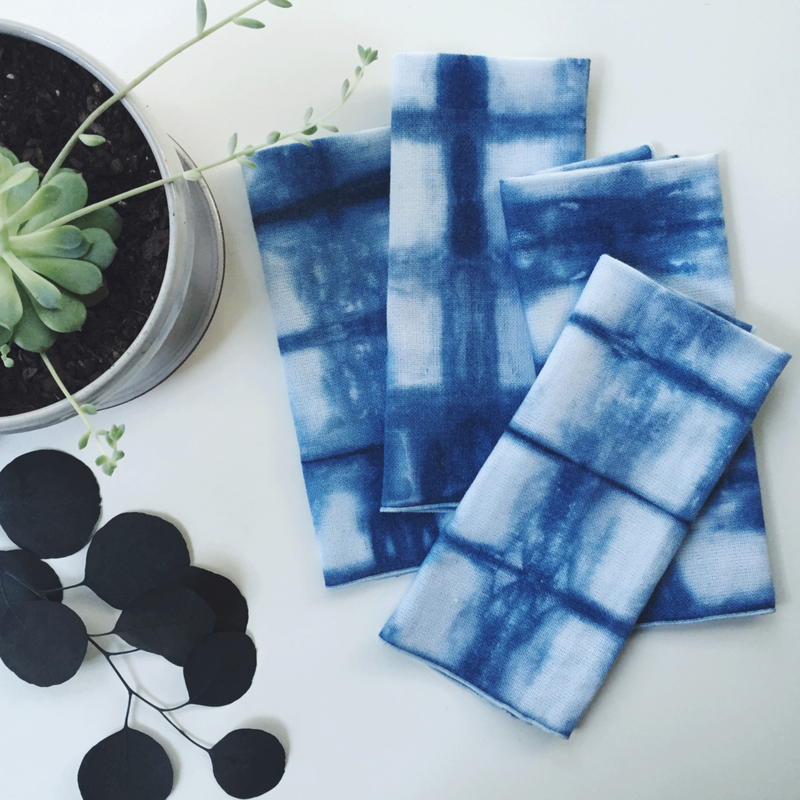 We’ll start from a blank slate (AKA all-natural cotton napkins and/or tea towels) and create a pattern with one or two different resist dyeing techniques. We’ll cover the basics of shibori (binding/folding/clamping) and/or stencil & paste resists in these workshops. All levels of experience are welcome—hand dyeing is a fun and curious process, so all you need is a willingness to experiment. All supplies for the workshop will be provided. Be sure to wear clothes you don’t mind getting dye on; I typically wear black or denim as it blends in. Check out the gallery below from past workshops!